I’m going to call these days “half season”. Some very cloudy, some sunny. It is difficult to choose each morning what to wear because it usually does not work. The most practical solution is the technique “layering” (see post: Dressing in layers ) but what else can be done? 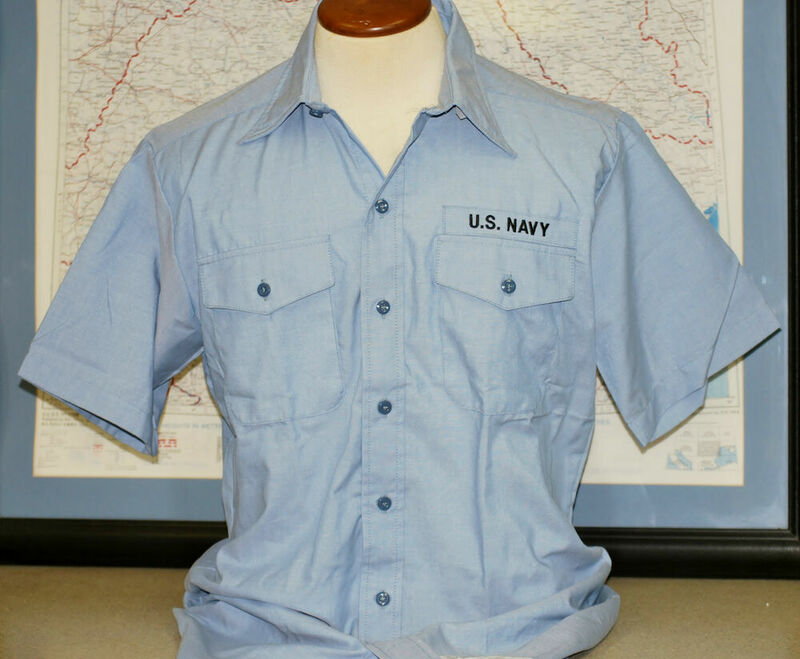 Here are the solutions to make the most of a short sleeve shirt. There are many ways to classify shirts. If you divide them by their function, there are the formal ones (which are usually long and rest inside the pants) and the casual ones (not so long and you take them out of the pants). 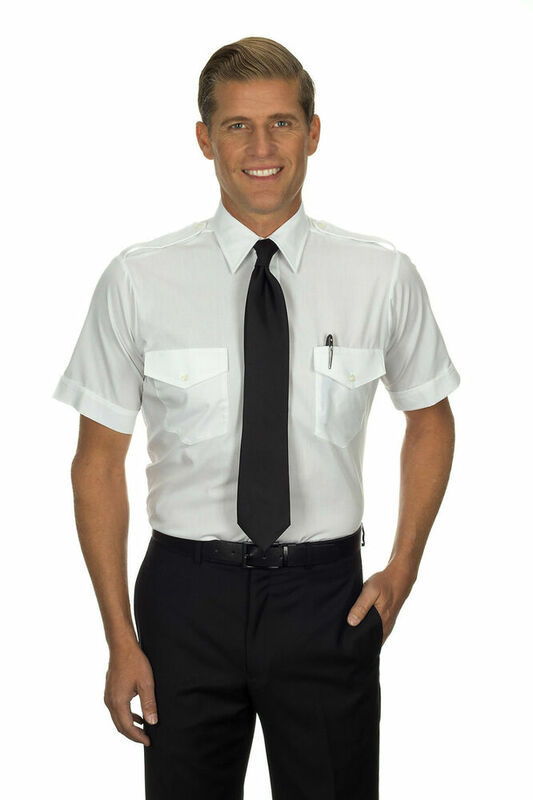 So, short sleeve shirts fall into the group of casuals – and therefore, should be worn out of the pants – but I refuse to limit them like that, because wearing them inside is a bet that also works and has a wave. So, what to keep in mind? Generates contrast. For example: blue trousers, shirt example. Beige trousers, white shirt. If the shirt has many pockets or prints, surely it is a shirt that only deserves to be worn on weekends. Should you wear a tie? Yes? In that case rule out wearing this shirt. It usually does not work and for some reason, all the commercials that want to impersonate the practitioner of the office, do so. Avoid it. 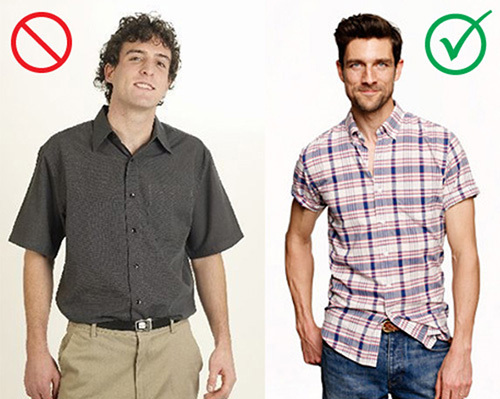 If you are looking for a shirt that fits your physique (see post: how to choose a shirt ) consider the sleeves. If the gym still does not give you the arms that you expect, have them adjusted or fold them in style. Wear a suit with short sleeve shirt? DO NOT. If you wear dress it is because you need to look formal. If you replace the shirt for a short, you will look improvised. If the sun disappears, wear the shirt with a cardigan, a blazer or a jacket-according to the space where you are. Finally, use more fun to shirts: Wear them open with a polo underneath. The secret here is to point out that only one of the two is the protagonist.